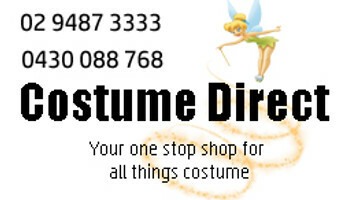 Costume Direct is the one stop shop for amazing Kid's Christmas costumes! These costumes all come with fast shipping from Sydney, Australia. 'Tis the season to be merry - and what better way to increase your merriment and that of those around you than with some costume cheer?! Dig into Costume Direct's sack of Men's Christmas costumes and be delighted by the range of ideas, styles and sizes that you find! With an enormous array of Santa suits and accessories, you'll be "Ho Ho Ho"-ing your way to your next Christmas party! For something a little different, try our Christmas Tree costume, an adorable Reindeer onesie, or dress as a delicious Gingerbread man - you'll be irresistible! We even have costumes fit for Nativity plays - from Shepherds to the Three Wise Men bearing gifts of gold, frankincense and myrrh. Sleigh-ride your way into CostumeDirect.com.au and choose from our huge selection of Christmas Costumes!